Earn $21.99 in Rewards credit. Click to learn more. Atop the Cobb Cycling Plus Saddle is a great place to be no matter if you're racing a triathlon, touring the country, or hitting the trails. Its versatile shape consists of a 275 mm length and long 80 mm rails to allow for numerous positions, and the narrow nose opens up the saddle to prevent leg chafing for more muscular riders. 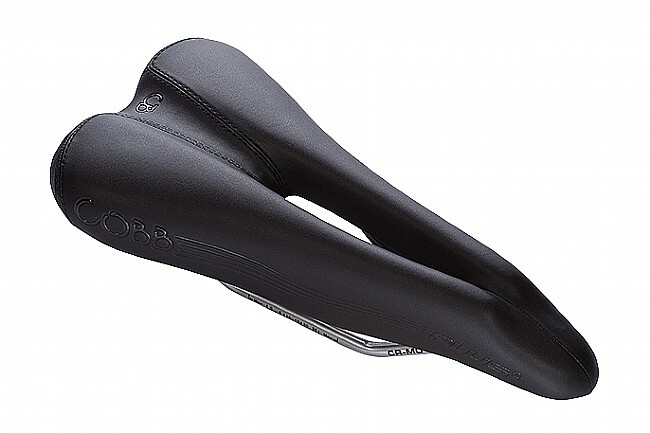 The tapered shape helps keep air flowing into the pressure-relieving channel, and comfort is increased even more thanks to medium-density foam padding and a molded seat shell that's designed to provide support for both lightweight and clydesdale riders.